Ryan Murphy’s anthology series have been very successful. No matter how bad it gets, American Horror Story is perennially popular—every season I play a game I call “how many episodes can I make it before calling it quits”—and the American Crime Story franchise got off to a great start with The People v. O.J. Simpson, which is some of the best TV of the year, no, that’s not hyperbole. That show is f*cking great. So, naturally, Murphy is spinning off another anthology series, this one called Feud, which is about—you guessed it—feuds. The first one? Bette Davis vs. Joan Crawford during the making of Whatever Happened to Baby Jane? Girl sh*t, boy sh*t, royal sh*t—is there anything better than Old Hollywood Girl Sh*t? It’s girl sh*t, but glamorous! Davis and Crawford HATED each other. It started over a man—Franchot Tone—and got worse when Crawford signed with Warner Brothers in the early 1940s. That put her and Davis in direct competition for roles, since you pretty much only worked for the studio you signed with. They talked sh*t about each other constantly, and tortured one another on set. Davis famously said, “You should never say bad things about the dead, only good. Joan Crawford is dead…good.” BURN. 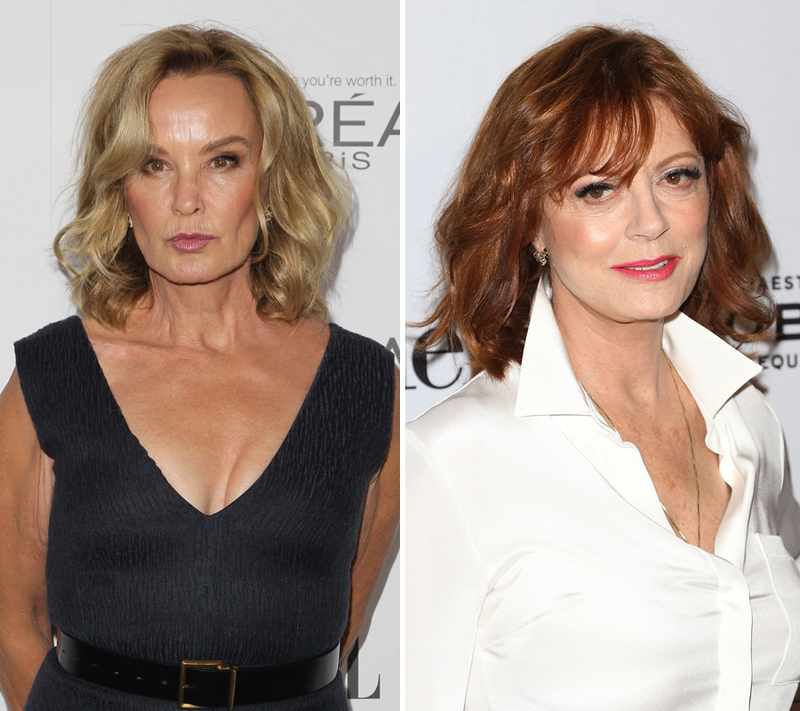 Jessica Lange will play Joan Crawford, and Susan Sarandon is Bette Davis, which is f*cking incredible casting. Stanley Tucci will also star, as Warner Brothers chief, Jack Warner, which is the nicest icing on this very delicious cake because I love Stanley Tucci. Murphy is co-producing with Brad Pitt’s Plan B—they previously collaborated on The Normal Heart. So it’s the quality of The Normal Heart, plus an outstanding cast, telling the story of one of the most legendary Hollywood feuds of all time. This is already my favorite show of 2017.